SkillMe | Weekly Civic Hack Night - Now at 972 Mission St! 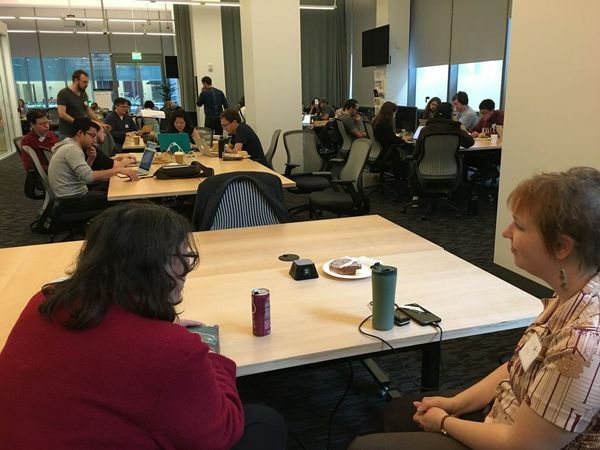 All you need is your brain, your passion, and your openness when you come to Code for San Francisco's weekly Hack Night. We welcome all interested people, including residents, activists, business folk, designers, and developers. No need for tech experience of any kind! Code for San Francisco is a Code for America "brigade" or local chapter focused on improving San Francisco. You'll be surrounded by folks who are interested in working together to change The City for the better. We fix government services, create insightful visualizations from opened data, and engage people who may have been excluded from the economic boom in the Bay Area. Come by to join an existing project (we need ALL types of skills - not just coders), to pitch your own project, or simply to experience the global movement to change the areas in which we live for the better. Hacking with dev/Mission Fellows, Data Science Team, Adopt-A-Drain, and many more. We're at Code for America's HQ at 972 Mission St, between 5th and 6th Street. Please arrive by 7pm so we can let you into the building. Bike parking is available on site.